WILTON – H. Natalie Hodgen, 97, longtime resident of Wilton, New Hampshire died on December 18, 2017 at Courville in Manchester, NH. She was born on the fourth of July 1920, a daughter of George and Annie M. (Holland) Wickens, in Nahant, Massachusetts. The family spent summers in Lyndeborough, NH. She was predeceased by sisters Elizabeth and Margaret and brothers, Asa, George, and Ralph, and her husband of 69 years, Arthur J. Hodgen. Natalie graduated from Lynn English High School in Lynn, MA and Burdett College. She met Arthur at the Wilton Carnival Ball in 1934, and they were married on June 2, 1940. They built their home in Wilton in 1946 and raised Alaskan Malamutes there for over 50 years. They also started the Twin Tows ski hill in Milford with their friend John MacDonald and operated the ski tows from 1947-1967. The Hodgens traveled to Europe for many ski trips with the Zahns of Milford, and also enjoyed trips to Ireland, England, Alaska, Nova Scotia, among many others. Natalie enjoyed cooking and gardening, and loved to entertain their many friends at their home in Wilton. She was a legal secretary at the offices of Cheever and Sullivan in Wilton for many years, as well as at other area law firms, and later operated her own real estate office in Wilton. 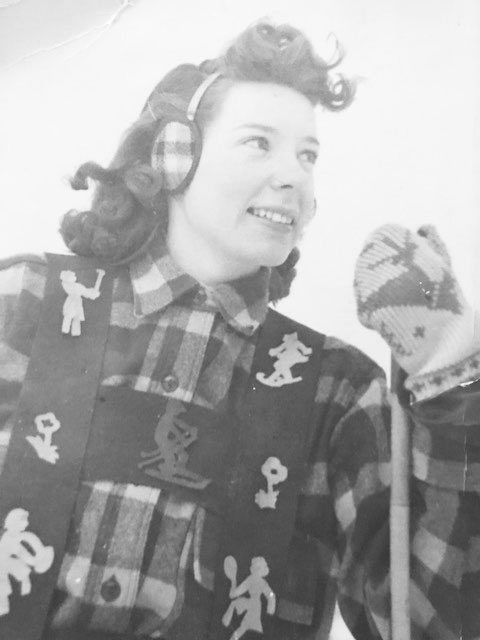 She was a charter member of the Alaskan Malamute Club of America, a charter member of the Wilton Ski club, a member of the Milford Garden Club, and she was a communicant of St. Patrick’s church in Milford. She loved her grandchildren dearly and spent many hours attending their sporting events and taking them downhill and cross-country skiing. She is survived by her children, David of Goffstown, Peg Hatfield and her husband Charles Levine of Milford, and Peter and his wife Sue of North Augusta, S.C., grandchildren Meredith Hatfield of Concord, NH and Boston, Matthew Hatfield and his wife Erin of Amherst, Jennifer of Whitman, MA, Jill Bodoff and her husband Matthew of E. Greenwich, RI and Jeffrey and his wife Nicole of Gardner, MA. Natalie also is survived by four great grandchildren, Crew Hatfield, Neve Bodoff, and Holden and Asher Robinson. A wake will be held at the Smith & Heald Funeral Home, 63 Elm St., Milford, NH from 4:00-7:00pm on Thursday December 21st. A funeral mass will be held at St. Patrick’s church at 34 Amherst St., Milford, NH at 10:00 on Friday December 22nd. To leave online condolences, please visit www.smith-heald.com. In lieu of flowers, please make a memorial donation to SHARE, 1 Columbus Ave., Milford, NH 03055, or at www.sharenh.org, or to Alaskan Malamute Rescue of New England, 1072 Burt Hill Road, Tolland, MA 01034 or at www.amrone.org.